The Padelletti estate consists of 4 hectares of vineyards cultivated organically. The vines are all in one plot, called Rigaccini Secondo, located to the north of the town of Montalcino, at 430 meters above sea level (relatively high for the appellation). The soil here is medium-textured loam, rich in sandstone and alberese limestone with some galestro marl. They harvest manually, normally at some point between the 21st of September and the 20th of October, taking great care to choose only the best grapes in the vineyard to ensure wine quality. The average age of the vines is 15 years for the Rosso, 30-35 years for the Brunello and 40-50 years for the Riserva. The wines are made entirely of Sangiovese, and estate-bottled. In the cellar there is another selection for quality, with the grapes being allocated to different small cement tanks by their winemaker. Indigenous yeasts are used for fermentation; maceration time is about three weeks for the Rosso, four for the Brunello and five for the Riserva. After fermentation and maceration the wine is aged in large Slavonian and French barrels (‘botti’), the Rosso for twelve months, the Brunello for thirty months, and the Riserva for thirty-six months. After a light filtration (no fining) the wine is bottled; about 15,000 bottles are produced each year. As you would expect, the altitude of the vineyard gives wines that tend towards elegance and freshness. The terroir and the characteristics of Sangiovese are very well expressed by traditional winemaking methods. The Rosso di Montalcino is typical in flavor and generally very drinkable young, whereas the Brunello and Brunello Riserva are complex, distinctive, expressive, and fine, particularly with a few years in the bottle. This estate does have small amounts of older wine available from the old cellar under their house, which is a rare benefit. Serious wine for Rosso, red fruit, forest floor, spice, somewhat chewy, this will certainly age but I’d drink it now with rib-eye now too. This is the kind of wine that made Brunello famous in the first place: distinctive, complex, deeply flavorful red wine with the fresh sourness of Sangiovese shot through it. Hints of roast meat and salt plum, big wine but the tannins are not at all bitter, a great example of clean traditional winemaking. Excellent. The 2012 vintage received 5/5 stars from the Brunello Consorzio. Just gorgeous. Leather, spice, red plum, roast meat, complex fine wine but immediately appealing at the same time. Text-book classic Brunello di Montalcino. Drink or hold. The 2008 vintage received 4/5 stars from the Brunello Consorzio. Reminds me of old-school Bordeaux in style, complexity, and sheer class. Seems more structured that the younger wines; notes of pencil-shavings, expensive leather, forest-floor, spices, red plum, very complex fine wine. Should drink beautifully for at least another ten years. The 2001 vintage received 4/5 stars from the Brunello Consorzio. Very similar in style to the ’01, similar notes but more forward, drinking very well now. 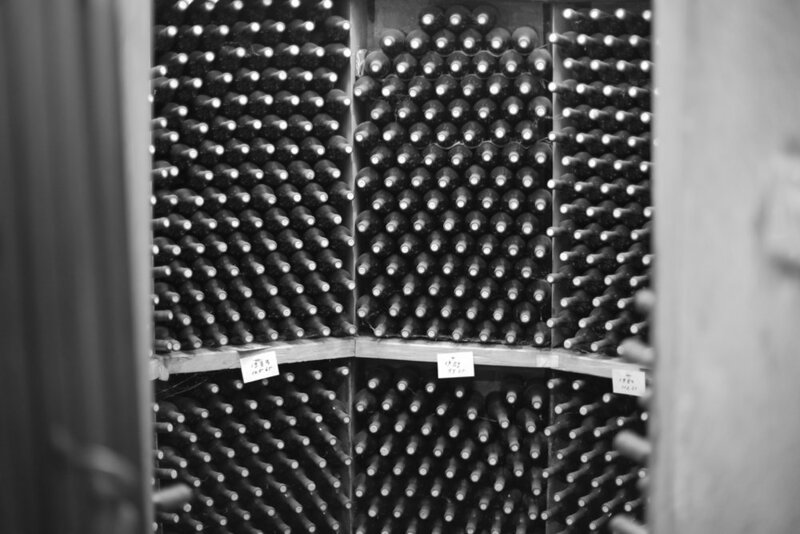 All of these wines have been stored at the winery since bottling. The 1998 vintage received 4/5 stars from the Brunello Consorzio. Below is a map from the Brunello Consorzio for a more contextual view of where Padelletti's vines are located.